Advertiser.ie - Do you want to be TG4’s next soap star? 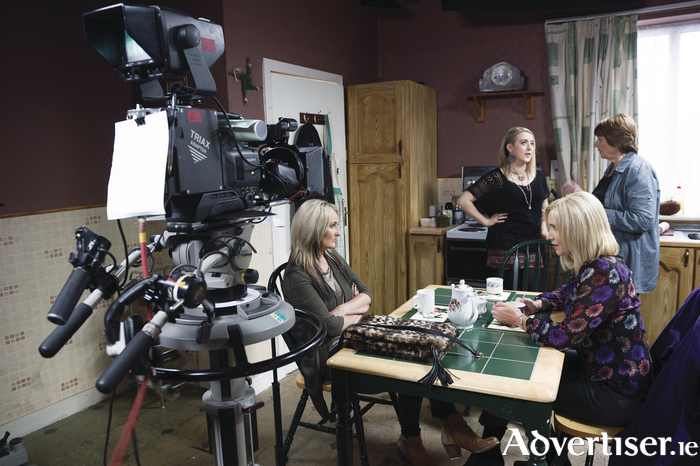 TG4’s hit TV soap opera Ros na Rún is searching for an actress over 50 to join its cast and fluent Gaeilge is required for the role in Ireland’s only Irish language soap. Ros na Rún is currently celebrating a milestone 21st series of broadcasting. Renowned for the high quality of its dramatic scripts, Ros na Rún has the unique ability to portray the realities of contemporary Gaeltacht and rural living with humour and intelligence. The soap has screened numerous ground-breaking moments on Irish TV over the last 21 years, including the first gay kiss shown on screen in Ireland, in 1996. Employing more than 140 people, Ros na Rún broadcasts for 35 weeks of the year and total weekly viewership figure currently stands at 150,000. Those interested in auditioning for the role should send a CV and recent photo to [email protected] or call Ailbhe, Ros na Rún production department at 091 - 558400 for audition details. So you fancy being a Ros na Rún star?